We see a lot of damaged hair at Issonni and it can sometimes be difficult to treat. Generally the best remedy is to remove several inches from our hair. With an increased use of heat styling and hair products which can be drying and damaging to hair, it can often lead to limp brittle locks. However, there are treatments and remedies available that can work hair wonders and limit the damage from heat styling and cheap products, whilst still keeping your length. Moroccan or Argan Oil is a great treatment to use on hair to help repair and restore damage. With only a pea sized amount needed, Argan oil is great to pull through hair after washing to help seal split ends and tame frizz. This miracle oil is also a great treatment for rejuvenating your human hair extensions to keep them moisturized. A more intensive treatment than your usual conditioner, conditioning masks can help to moisturize hair deeper due to their rich properties. Helping to restore nutrients back in hair, you can also combine natural products such as honey or yogurt, or buy one from a beauty outlet. If you are buying one from a store, try to look for one that contains Argan oil, coconut oil or shea butter. Using a hair oil or smoothing product can help seal ends and some products also contain heat protection. Heat protectant is paramount when using heat styling tools and will limit the effects of your daily heat styling. As honey is a natural moisturizer, you can add a few drops to your conditioner to help revive dry and damaged hair. Honey is also great to add to your homemade hair mask. 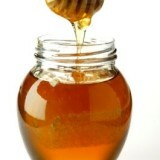 Simply add 90g of raw honey and use enough water to thin the honey. Apply the mask to damp hair and leave for 30minutes. Then wash using shampoo and conditioner as normal. Having damaged frizzy hair can sometimes make it difficult to get a brush through, which can lead to further damage and breakage. Try using a honey and apple cider vinegar mask to leave hair shiny and manageable. Add 90g of raw honey and 10tbsp of apple cider vinegar. Apply the mask to damp hair for 15 minutes and then wash as normal. Try reading the labels before purchasing products that promise to restore and replenish hair. Some ingredients can actually dry and damage your hair further. If in doubt, try out one of our homemade remedies.